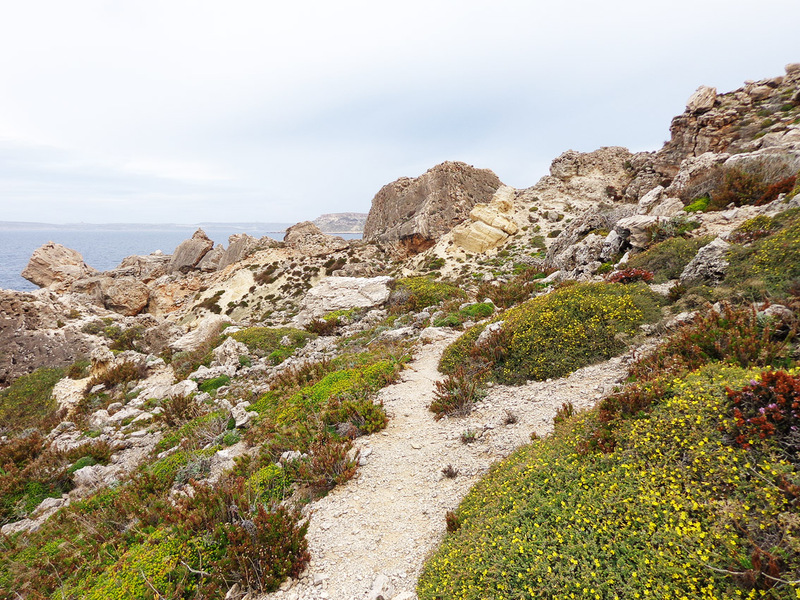 Malta is a great walking destination in the autumn to spring months. 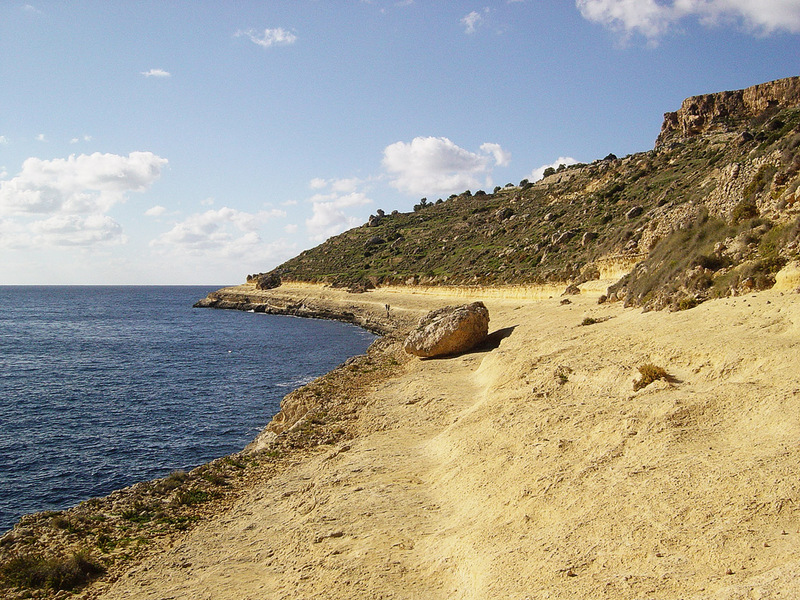 The mostly rural west of Malta and practically all of Gozo offer a multitude of walking opportunities along scenic and varied secondary roads and tracks, through villages and tiny hamlets and alongside sweeping clifftops with their superb views. But some of the more adventurous trekking can be found by venturing further from well-trodden paths alongside – and sometimes below! Perhaps the easiest of the lot is the stretch from Lapsi to Hagar Qim. It’s a route that can be completed in two hours or less over rough (but not difficult) terrain. This stretch of coast is among the most spectacular in the islands with a multitude of caves up in the cliffs (some are quite easy to get to) and unobstructed views to the islet of Filfla five miles out. There are also a couple of sea arches to look out for. More challenging is the boulder scree at Majjistral Park. This is a wonderful haven for local flora and is at its best in the spring. Although a short route of some three miles, this trek can take from three to four hours to complete. The area is literally strewn with huge boulders which over various centuries and through natural erosion fell from the cliffs above. Boulder hopping is mandatory as is a good pair of trekking shoes. For the less adventurous, a walk along the magnificent cliffs above can be equally rewarding. In the northwest of Malta at the end of the Red Tower road – the area known as Il-Qammieh - is another stretch of coastline beneath the cliffs that is worth exploring. This area combines stretches of easy to navigate limestone shelves just above the sea level but then turns into a mix of boulders and clay slopes which are more challenging. One can walk (boulder hop is the better term here…) as far as Paradise Bay from here but that can be quite tough and there is the option of regaining the road and avoiding the difficult bits. A highlight of this area is the remote Qammieh beach – so remote that no one comes to swim here as it’s way too far to walk in the hot summer months! 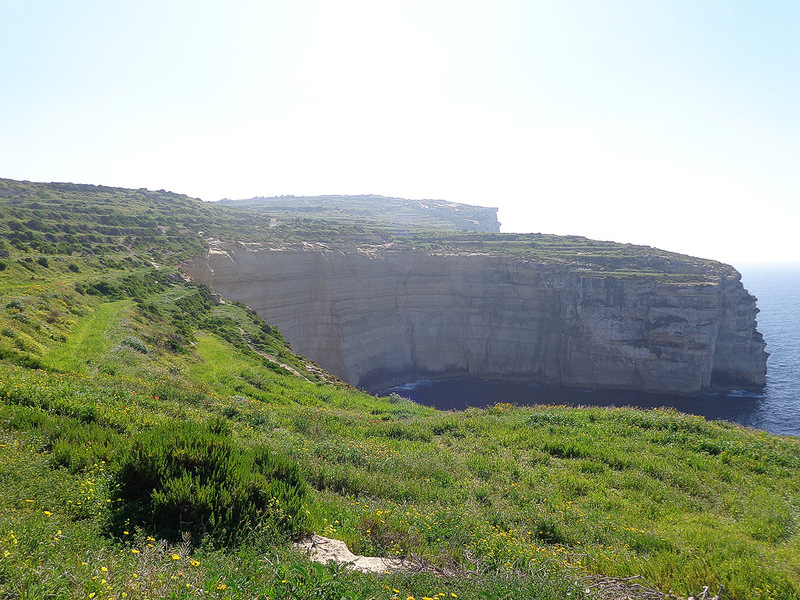 Gozo has some great cliff top walking too. All of the coast from the ferry landing point in Mgarr to Xlendi on the other side of the island can be navigated and most of it is actually very easy (one has to make an inland detour near the Ta Cenc Hotel). One can do the whole stretch in about five to six hours and the highlights here are many. Enough to mention the lovely bay of Mgarr ix-Xini – normally beautifully deserted in winter – and the high cliffs which stretch all the way from Ta Cenc to Xlendi. Whether you do all or part of this route is up to the individual concerned – but this one comes highly recommended. 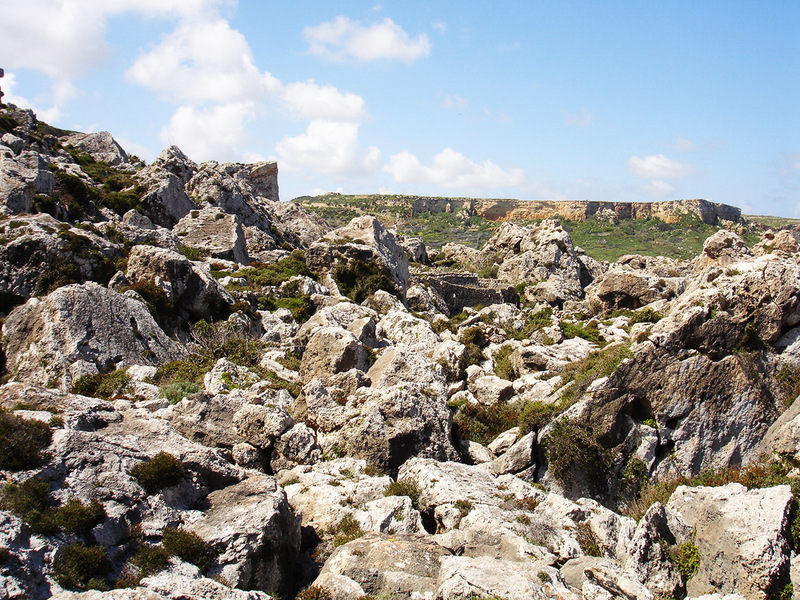 Gozo also has perhaps the most challenging boulder field in the islands. This lies between the bays of Dahlet Qorrot and San Blas Bay. Surprisingly this is a rather short stretch of about a mile or so but is truly a huge maze of large boulders seemingly thrown about to make life difficult for trekkers! Although hugely rewarding this is only recommended for serious no-nonsense trekkers. Another option is to find a local guide to take you through this wonderful maze or join a local trekking group. Remember always that your safety comes first!